Imagine waking up on a chilly, colorful November morning to the amazing smell of delicious food being prepped and baked, to pots and pans banging, and to the anticipation of family and friends coming over, and repeating this morning every year. That is tradition. That is Thanksgiving. Thanksgiving, along with many other holidays, is all about repetition of customs that become special over time. It is a time when families come together and are thankful for one another. Normally, food is the center of Thanksgiving and its traditions. 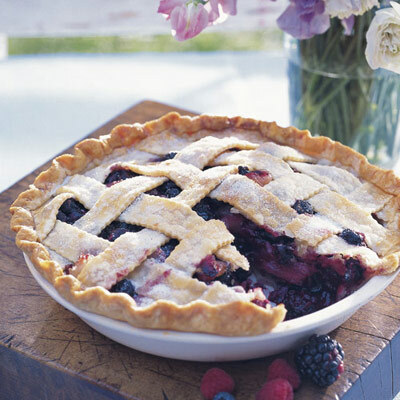 Typical dishes include potatoes, cream of corn, stuffing, macaroni, green beans, cranberries, turkey, and of course, the pies. Some history on this iconic American holiday. 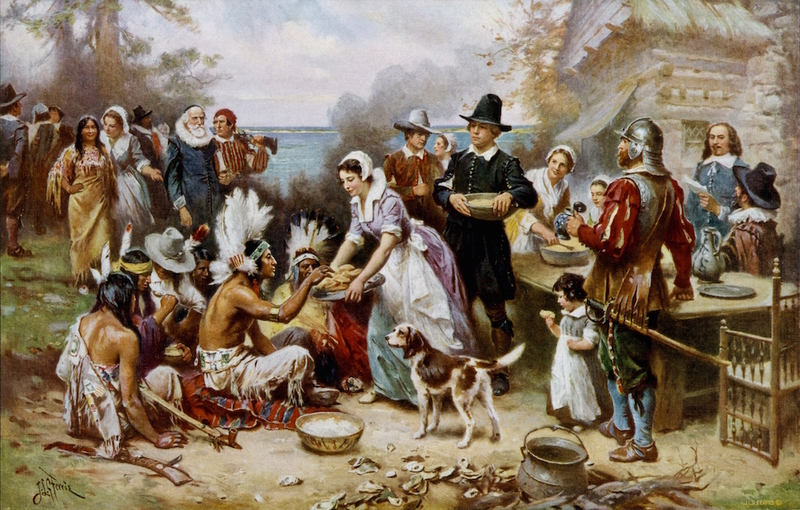 In 1621, Thanksgiving was brought to Plymouth by the Puritans and Separatists, who came from the colonies of New England. It was not until 1863 that Abraham Lincoln gave it the name of Thanksgiving and declared it would be celebrated the fourth Thursday of November, every year. Thanksgiving is influenced by many things — thanking God for good crops, being thankful for those around you, reflecting on blessings, feasting, and being surrounded by loved ones. One of the biggest parts of Thanksgiving, besides spending time with friends and family and giving thanks, is the food. The food is such a big part in the celebration of thanks. In 1621, upon arriving in Plymouth, the Pilgrims had a hard time finding food and endured many hardships. The Squanto Indians taught the Pilgrims how to fish, crop, hunt and farm the land that surrounded them. To celebrate their first successful crop, they held a three-day feast. The menu consisted of deer, turkey, lobster, bass and dried fruits. When the Pilgrims arrived on the Mayflower, they did not bring any sugar with them. The Native Americans did not have any either, so there were not any pies, cakes or desserts of any kind on the menu. The feast that the pilgrims and the Native Americans took part in continued for three days and unknowingly created a lasting tradition throughout American history that will continue for years to come. It is said that a pilgrim named Edward Winslow wrote in his journal that before the first Thanksgiving feast, they were hunting turkeys. According to the National Turkey Federation, nearly 90 percent of Americans today eat a turkey, with three main ways of preparation: roasted, baked or deep fried. It is easy and clear to see that Thanksgiving revolves around the food that is served, but there are two major parts that contribute to the food: giving thanks and giving back. A newly found tradition throughout the United States is volunteering to serve the homeless a Thanksgiving meal. There is a large organization called “Meals on Wheels,” where families and citizens of the town volunteer on Thanksgiving Day to prepare and deliver meals to families who cannot afford to make their own Thanksgiving meal. Meals on Wheels’ mission statement summarizes what Thanksgiving is all about: “Thanksgiving Meals on Wheels prepares and delivers a traditional Thanksgiving meal to families in need,” reads the Meals on Wheels website. A more recent tradition that is now happening on Thanksgiving Day is a popular form of entertainment throughout the United States, football. There are two main cities that participate in Thanksgiving Day football: Detroit, Michigan and Dallas, Texas. The tradition of football started in 1934. Thanksgiving has not only become something that just happens every fourth Thursday of November or something that just revolves around food and feasting, it is also a piece of history — important history that is celebrated in almost every school today. Nationally, all schools are closed on Thanksgiving, even some the day before through and the weekend, and some manage the entire week off to celebrate this holiday. In grade school, students do all sorts of activities to celebrate and learn about this tradition. 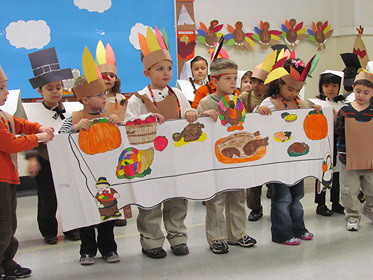 Thanksgiving also resembles many other cultures and societies, and their origins. Keeping the traditions alive, a century and a decade later means something. The act of coming together is significant for people in the United States. Not only does the food play a major part in being a comfort zone for a majority of the people, but spending time together amongst the chaos and business of daily life provides a sense of comfort for Americans as well. It all plays a big part in why Thanksgiving is celebrated and will continue to be celebrated. The definition of Thanksgiving is: “the expression of gratitude, especially to God.” Thanksgiving is an important holiday that many people look forward to every year and is a significant part of today’s culture, bringing people together every year, carrying on the many traditions, as it all started in the year of 1621. Without an appreciation of our history, food and more, all we would have is the future. This holiday is a great reason to look back upon the past and to be thankful for to what our present has become. Now think — What are you thankful for? I will be keeping y’all updated on my journey this summer on my blog.